We are designed and destined to be channels of higher realms, multi-dimensional, communicating directly with consciousness beyond the human mind and bringing that wisdom into humanity. Higher realms wisdom beyond the human experience created and supported all our modern miracles, advancements and past golden ages. We are not alone and never have been alone. Regularly connecting with higher realms will be a game-changer and greatly affect the future choices we make as a human species. This book, DIVINE DISCUSSIONS: Higher Realms Speaking Directly To Us… explains how I became a channel of higher realms and how you can be and do the same. Topics within this book are vast and sometimes revolutionary in thought. They range from a new creation story to discussing areas within our life that need to shift in order for our planet and selves to prosper and survive. 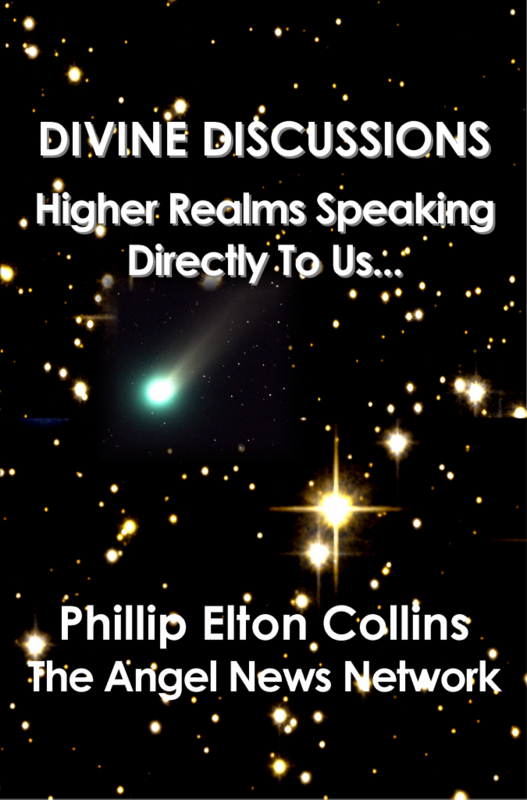 PHILLIP ELTON COLLINS brings a diversified background to this seventh book being a co-founder of The Angel News Network, Light Ascension Therapist, author, and channel of higher realms. Phillip is also a teacher and medical intuitive/life coach, addressing the energetic integration of emotional, mental and physical bodies. His career includes being Director of Marketing for George Lucas’ Industrial Light & Magic Commercials; founder of Fairbanks Films with film directors Ridley and Tony Scott, and advertising executive at Young & Rubicam, New York City. 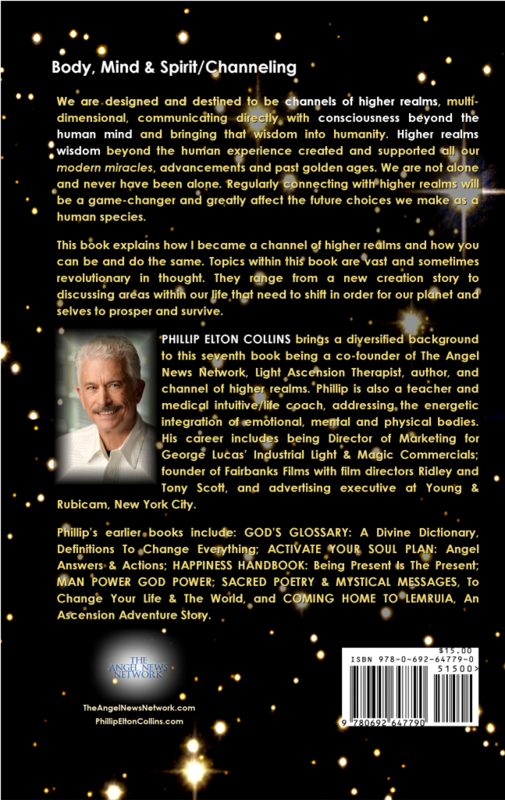 Phillip’s earlier books include: GOD’S GLOSSARY: A Divine Dictionary, Definitions To Change Everything; ACTIVATE YOUR SOUL PLAN: Angel Answers & Actions; HAPPINESS HANDBOOK: Being Present Is The Present; MAN POWER GOD POWER; SACRED POETRY & MYSTICAL MESSAGES, To Change Your Life & The World, and COMING HOME TO LEMRUIA, An Ascension Adventure Story. Click Here To Purchase Paperback or E-Book!